WASHINGTON (BP) -- Southern Baptist leaders reacted with deep disappointment to Illinois Gov. 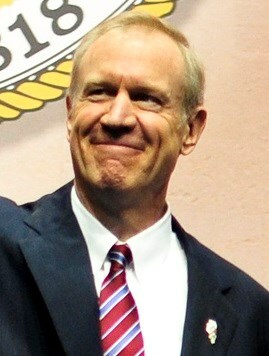 Bruce Rauner's change of mind in support of groundbreaking abortion-funding legislation. Rauner, a Republican, signed into law Sept. 28 a bill that requires taxpayers to fund abortions for low-income women through the state's Medicaid program, even though he had said in April he opposed it. The new law also provides abortion funding for women covered by state employee insurance. In signing the legislation, Rauner also apparently established a precedent in state funding of abortion. Illinois becomes the first state in which the legislature and governor have acted to approve Medicaid funds for abortion, according to pro-life researcher Michael J. New. Previously, New reported, Medicaid funds for abortion were legal in 15 states -- 11 by judicial decision and four by health department action.